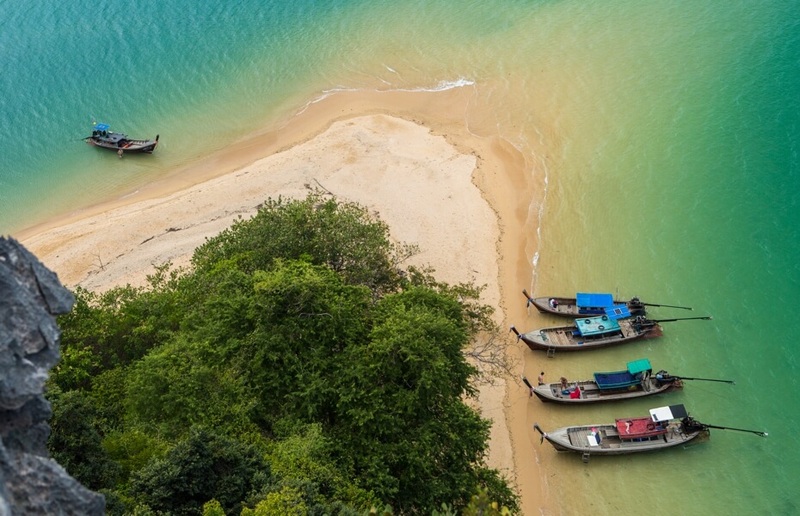 Thailand is blessed with diversity and no vacation is complete without some exploration. Whilst Phuket is abundant with places to see, you would be doing a disservice to your holiday if you weren’t to visit at least one of the surrounding islands. With such variety, each one has its own unique vibe. Whether exploring beaches, discovering inlets or sampling the local street food, you can be sure to unearth a few hidden gems, whichever you choose to see. Just a hop away from your luxury accommodation, you’d be mad not to try at least one of these day trips. 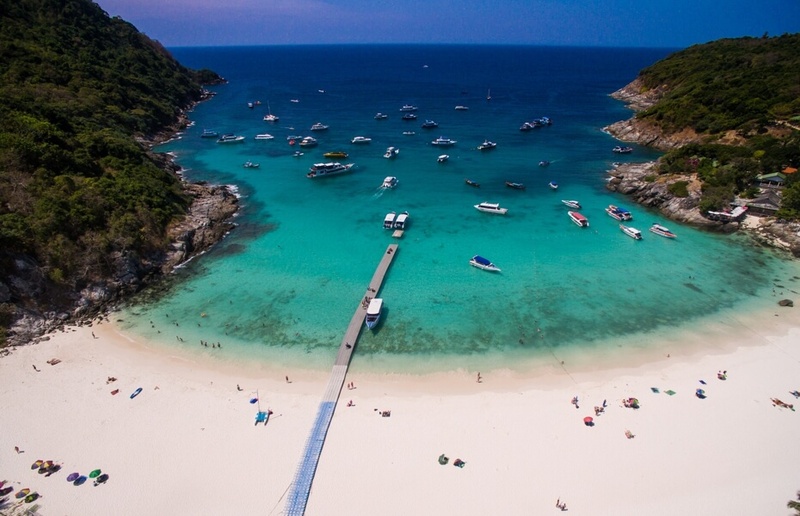 A skip from Phuket, these islands are stunning in their own right. With more water sports offered on Coral Island, Racha is quieter, maintaining pristine waters that are perfect for snorkelling. Either lounge on white sand beaches or venture out into the oceans and explore the coral beds and sea life that abounds. Banana Beach on Coral Island is a favourite for many, with its own stunning sea life and great food served from the resort restaurant. Getting there: Speed boats from Chalong Pier get you there in 20 minutes and a full day tour can cost anywhere between THB 1,500 – 3,000 for adults. Or head to Rawai and find a long boat to ferry you across in a more relaxing 30 - 40-minute ride. ‘Small long island’ as it’s known, this pristine island has a rich religious heritage and devout Muslim community that really add to its mystique. 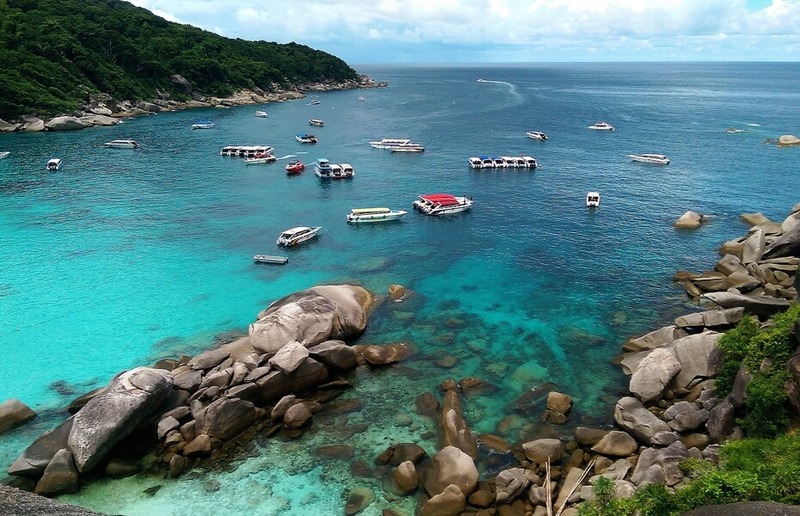 While some islands have been taken over by tourism, Yao Noi’s local population have done their best to maintain a sedate feel. The island’s coast is lined with mangrove forests to the west and long sandy beaches to the east, with a richly diverse interior. Catering for eco-tourism, resorts and restaurants can be pricier but this shouldn’t scare those on a budget as the bio-diversity is incredible and worth the day trip. With thriving fishing and farming communities, plus rubber-tapping of trees, there is a lot of local tradition to marvel at. Or if you fancy a treat there are some great dining options available as well. Getting there: Hop on a ferry from Bang Rong Pier for the THB 120, 1 hour journey. This departs 3 times daily (with more frequent speed boats if preferred). If you fancy exploring the island by bike, there are full day tours that run from about THB 3,000 per person. This beautiful national park has been protected since 1981, and proudly so. With dramatic limestone cliffs and miniature islets dotted around, it has a magical feel. James Bond island is the most renowned site as a limestone shaft juts out from the sea and is a familiar sight to any bond fan. With the many cave systems to explore, hop on a boat trip from the northern eastern tip of Phuket and be taken into this beehive of limestone crevices to marvel at the light reflecting off the deep-green waters. Koh Panyee is a good stop off for lunch as the markets here offer a great variety of food. The spot in itself is beautiful as the whole village sits on stilts above the water; a remarkable feat of human ingenuity. Getting there: You can rent a car or motorbike and drive to Phang Nga but we’d recommend the boat tours. Most pick you up from your villa before whisking you to the island and cost anywhere from THB 1,900 – 2,900 for an adult. Off the Krabi coastline, this is one of the quieter island destinations. Having avoided Hollywood’s cameras, you find untrodden beaches and idyllic hideaway coves and the whole area has a much more peaceful feel. 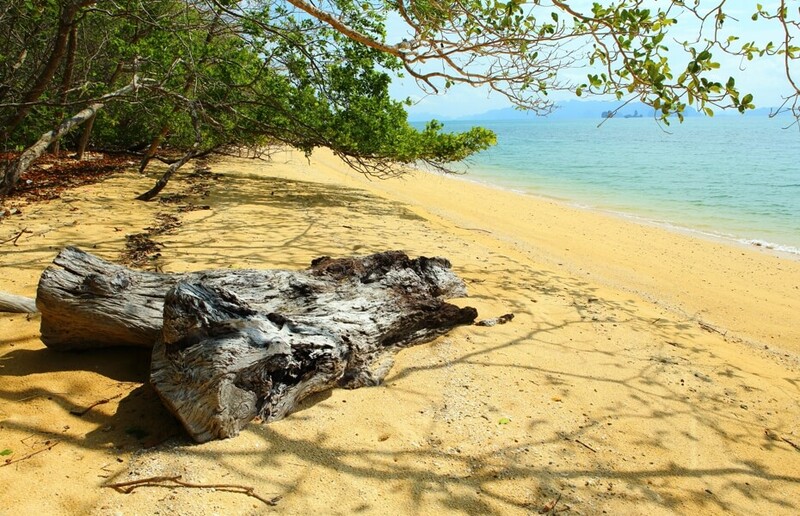 The island itself is uninhabited allowing wildlife to run free and we often hear of monitor lizards and monkeys being spotted, with Pelay Beach being a great option for such an experience. The best way to see the archipelago is by sea kayak and the explosive popularity of this is evident with the number of businesses who now offer tours. Dipping in and out of the white sand beaches in complete tranquillity is a phenomenal experience. Getting there: There are a variety of cruises departing from Phuket that cost in the region of THB 4,000. 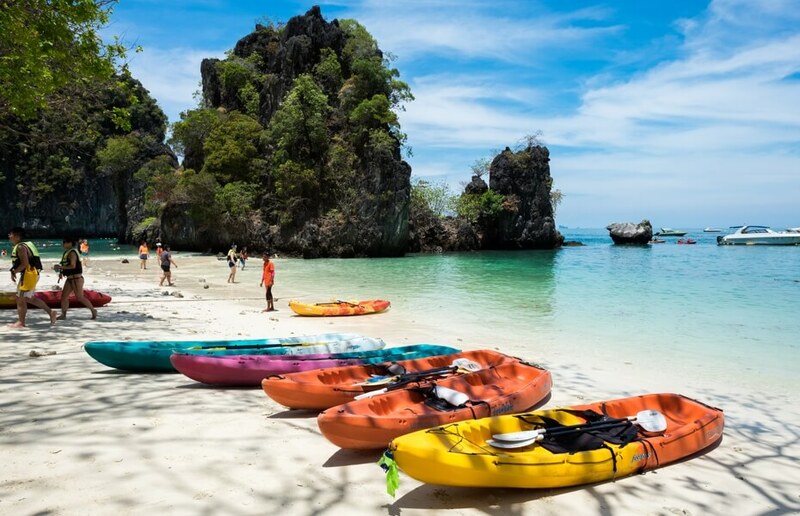 For sea kayaking tours at the island expect to pay between THB 2,000 – 2,500 for an adult or THB 1,500 for children. These islands need little introduction but thankfully they haven’t lost their beauty despite their blockbuster reputation. Phi Phi is a collection of 6 different islands with the larger island of Phi Phi Don attracting the bulk of the tourists to stay in its waterfront accommodation. 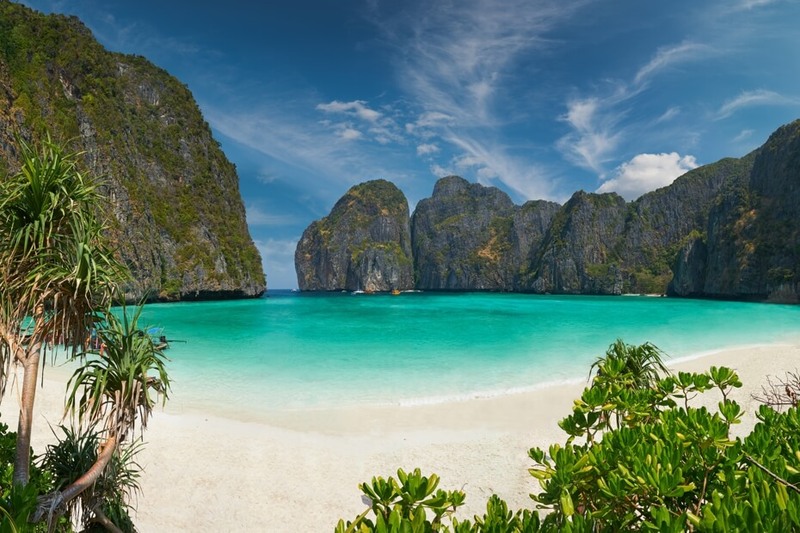 Phi Phi Leh remains uninhabited and is famed for Maya Bay, of The Beach fame. If you’re looking for a lap of luxury there are a host of great resorts to check out with Zeavola being one option. Found at the northern tip of Phi Phi, the resort maintains some rustic charm whilst still feeling luxurious. There are many great dining options here as well with seafood the main event. Mama Resto is worth visiting late in the day to enjoy a cocktail and reminisce about the beautiful sites of the island. Getting there: A 45-minute speedboat trip from Phuket means the islands can easily be seen in a day. Ferry’s also run regularly but take slightly longer – closer to 2 hours. Expect to pay about THB 500 for a ferry or 2,000 per person for a speedboat. 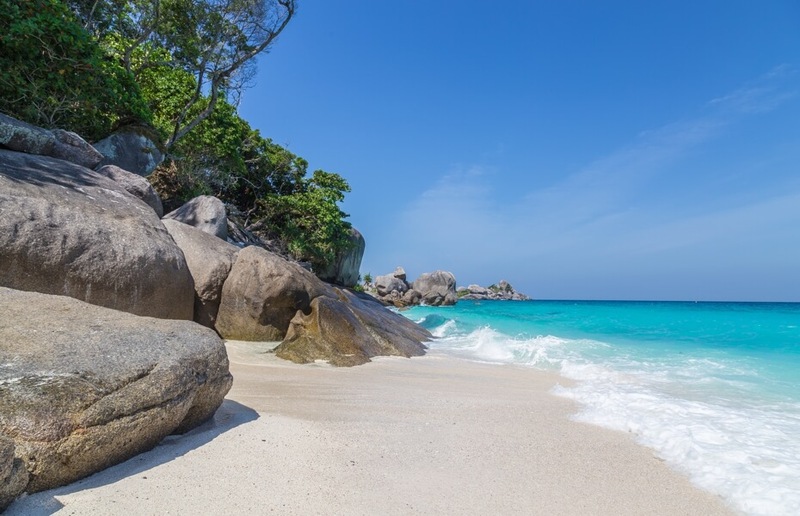 Another protected region of Thailand, this national park boasts 11 paradisiacal islands resting in the Andaman Sea. The area is renowned for its diving given its crystal blue seas and you will see many boats and yachts moored up, exploring the depths. The islands are densely forested with thick undergrowth so provide a welcome change from the towering limestone cliffs of other locations. Here you will find a variety of wildlife from monkeys to bats and all sorts of birdlife so it can be great for nature watching. The topography of the island is unique and Sailing Boat Rock on Island number 8 is a favourite; a glowering example of how the earth’s sea levels have risen and fallen over the millennia. Getting there: These islands are difficult to reach with little to no service between May – October. In season, you can jump on a speed boat and arrive within an hour or so but often companies will drive customers up the coast by minibus before setting you on a boat, meaning a longer trip. Tours cost from around THB 3,000. Depending on your schedule, a tour of at least one of these islands is more than worth the effort. It can be hard to leave the lap of luxury that is your Asia Villa, but who knows what you might discover if you adventure. Luxury comes in many forms and what you will find amongst these islands will be more than enough to please even the most demanding traveller.